We’ve done it again! 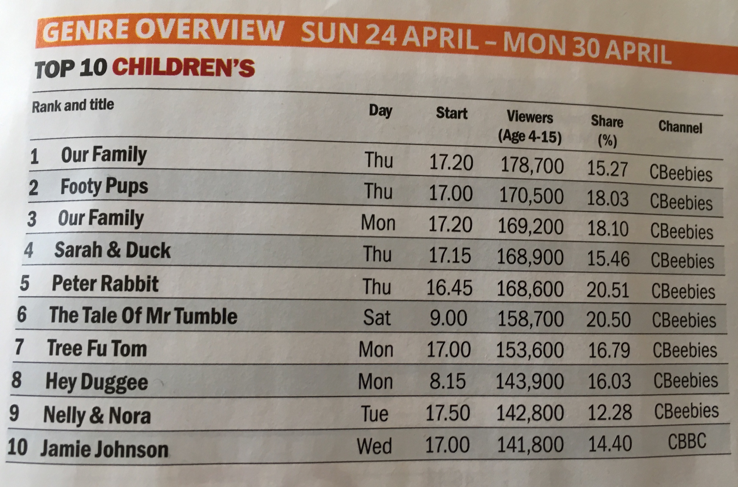 We’re the number 1 children’s show in the UK as reported by Broadcast. And we’ve taken the third spot too. If you’ve missed out then why not catch up on the CBeebies iPlayer. Thanks to everyone for their hard work making such an amazing show and it’s great that the audience love it too.